Purchase this bundle and receive FREE Shipping (on this item only). 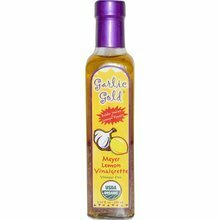 Includes our Original Garlic Gold Nuggets in Oil (3.75 oz. 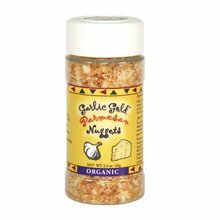 ), our Plain Garlic Nuggets, the Italian Herb Nuggets, and Sea Salt Nuggets. Purchase this bundle and receive FREE Shipping (on this item only). 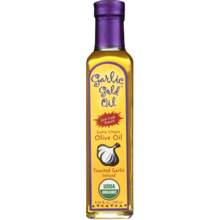 Includes our Original Garlic Gold Nuggets in Oil (3.75 oz. ), our Plain Garlic Nuggets, the Italian Herb Nuggets, and Sea Salt Nuggets. The Plain Nuggets and the Nuggets in Oil are sodium free and a great replacement for croutons and bacon bits. They add a much needed crunch to any meal. This introductory offer is an exceptional gift for anyone on any occasion. 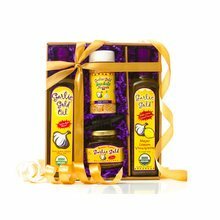 This bundle is great if you are trying Garlic Gold for the first time. 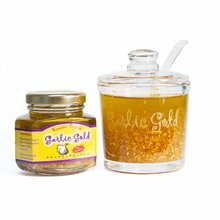 Now that you have all of the necessary ingredients to turn any dish into a gourmet garlic experience, get cooking!